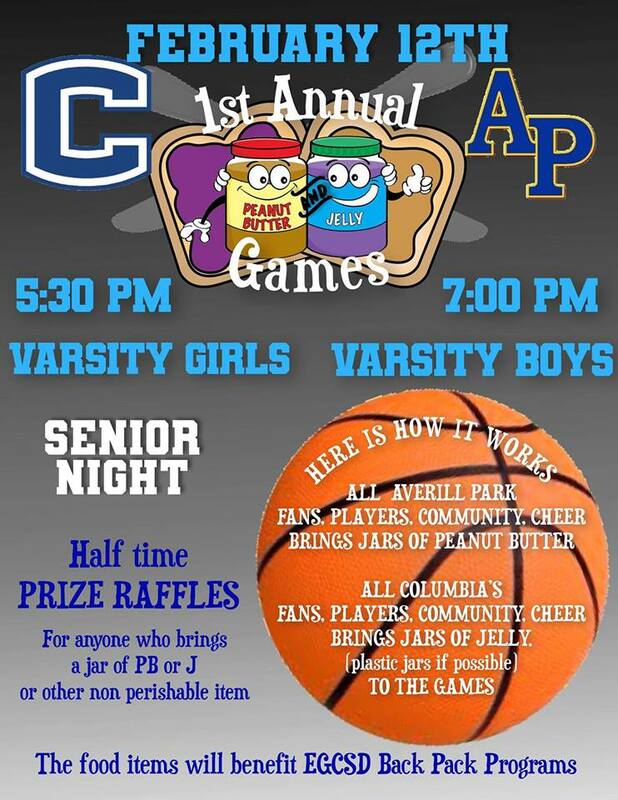 Columbia Athleticss will be collecting any non perishable food items including peanut butter and jelly anytime before the the Peanut butter and Jelly game. You may drop off donations to the Athletic office durning the day, practice or during any game times. All items will be donated to our district’s pack back programs. Or you can save it all up for our Game!